This area has visible evidence of every historical age since neolithic times, and the exhibition here provides an overview of the history of the many archaeological sites. The 6,000 years of history here focuses on the Stone Age, Iron Age, early Christian period, medieval and post-medieval period as well as folklore. Visitors can take a guided tour and enjoy trails on site, while there is a fairy trail through the nearby woods for children. Amenities: The exhibition is wheelchair accessible, but some areas are limited due to uneven terrain. There is a free car park, café and toilets on site. Opening hours and costs: Weekdays the site is open 10am-5pm, and weekends/bank holidays 12-6pm. Admission to the site is FREE but the exhibition is priced at €5 for adult, €3 per child and €4 for senior/student. While there is uncertainty around the original founder at this site, it was closely associated with the powerful Fitzgeralds of Desmond in the 14-15th centuries. The failed Desmond Rebellion of the 1580s saw the end of this rule and today the ruins remain open to explore. Inside the grounds visitors will find evidence of a sacristy, prison, nave, cellar as well as dorms from medieval times. Amenities: There is a car park and tourism information centre nearby. There is no wheelchair access to the site. Opening hours and costs: Entry to the site is FREE and the site is open from 9am-5.30pm. Tours can be arranged in advance with local Anthony Sheehy by emailing anothonysheehytourguide@gmail.com, donations are welcome. This 39 km cycle route and pathway connects RathKeale and Abbeyfeale and runs close to the Kerry border. Hikers, cyclists and walkers are welcome to explore the untouched green landscape and pastoral past. The greenway is divided into five routes with varying distances. Amenities: There is full wheelchair access to the greenway but there are no toilet facilities. Opening hours and costs: The greenway is FREE and accessible and bike hire can be arranged online. Prices are €15 a day per adult and €10 per child. King John was the brother of Richard the Lionheart, associated with legends such as Robin Hood and the Knights of the Round Table. The castle was built in the early 1200s and on excavation, a number of houses believed to be of Viking origin were unearthed. Today visitors can experience a Norman soldier’s life in this medieval fortress with live reenactment featuring costumed guides who reveal the secrets and scandals of castle life. Amenities: Some areas of the castle are inaccessible, but the courtyard and visitor centre have full access for wheelchair users. There is a café, gift shop and toilet facilities. Opening hours and costs: The castle is open daily from 9.30am-6pm with last entrance at 5pm. Tickets are priced at €13 for adults, family tickets from €40.50-€49, a child/senior ticket is €9.50. This museum focuses on the pioneering days of aviation and passenger travel across the North Atlantic as well as the social history of the river Shannon at the port of Foynes. At the maritime museum visitors will see how traditional boats were made and hear the stories of times past such as lives of sea dockers in the 1800s. There are interactive exhibitions throughout the museum and guided tours can be arranged in advance. Amenities: There is a restaurant, café, toilets and gift shop on site. The museum is fully accessible to wheelchair users. Opening hours and costs: The museum is open from 9.30-6pm daily. Entry for children under five is free, adults €12, children under 14 €6, seniors/students €10 and a family ticket for two adults and four children is €30. Thanks to Limerick City and County Council heritage office for recommendations. TOMORROW: Top 5 must-sees in Cork county and Dún Laoghaire/Rathdown. 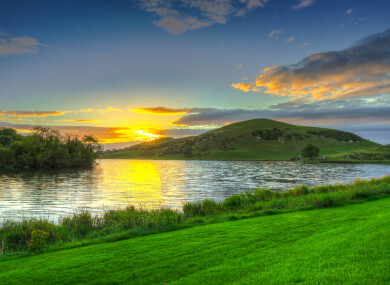 Email “Your summer in Ireland: 5 must-see sites in Limerick”. Feedback on “Your summer in Ireland: 5 must-see sites in Limerick”.